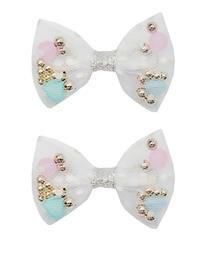 These 2 piece bow clips are the perfect accessory weather you pick the princess pinks or the rainbow bright! Each clip is made from a soft mesh tulle pocket pinched together and wrapped with glitter. 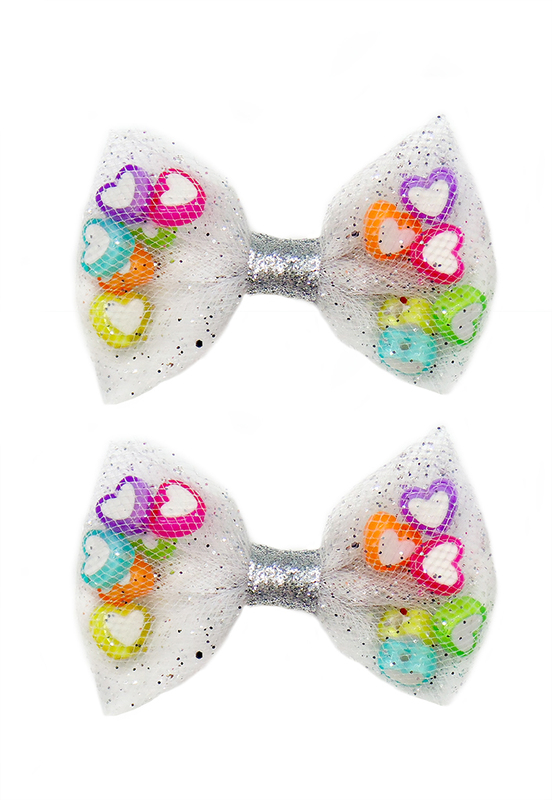 The pockets are filled with tiny beads and hearts perfect for a bowtastic party!